Peanut, a very common food item, is one of the most allergenic food in the world. Even a little amount can trigger a reaction in those with peanut allergy. Peanut allergy is an adverse reaction of the body towards exposure to peanuts. The body reacts towards peanut like it is a dangerous substance. This reaction can be caused by eating, having skin contact or inhaling peanut protein. Peanut allergy occurs when some allergenic proteins in the peanut triggers the body’s immune response to produce certain antibodies. The body produces specific IgE antibody to peanuts. These antibodies bind to certain cells called mast cells and cause them to release certain chemicals into the bloodstream. These chemicals (example: histamine) cause symptoms to appear. Prevalence in increasing in the Western countries compared to the relatively fewer cases in Asian countries. In the USA, incidence of peanut allergy is 0.8% in recent studies and prevalence have doubled in children under age 5 years 1. The onset is usually within the first year of life. One third of children outgrow this allergy by the age 5 years. For others, the allergy persist for life. 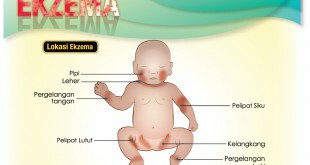 How would peanut allergy present? How is a diagnosis of peanut allergy made? Diagnosis should be made by your doctors after looking into your child’s history and symptoms. Parents may have noticed their child getting sick or developing a rash soon after eating or having contact with peanuts. Peanut challenge (this is rarely done in children). These tests may differ in different individuals and must be interpreted carefully by a your doctor. Sense of fear, impending doom. Swollen eyes, mouth, tongue, lips. Severe reactions can lead to coma and eventual death if untreated. You need to consult your doctor for advice on these. You should bring your child to the nearest hospital immediately. EpiPen should be used immediately if you carry one ( EpiPen is a prefilled Epinephrine or Adrenaline auto injector which is available in Malaysia. Consult your doctor on the necessity of obtaining a prefilled adrenaline syringe). Mothers with a family history of allergy should avoid nuts during pregnancy. Exclusively breastfeed babies until age 6 months. Do not introduce peanuts to your children until age 3 years. What should I do if my child has peanut allergy? Avoid all peanuts and also other type of nuts. Read all food labels carefully and avoid those with peanuts. Do not share your child’s food utensils with others. Have an emergency plan of what to do should an allergic reaction happens. Carry an EpiPen (either you or your child to administer in emergencies). Give your child a Medic Alert bracelet to wear. Are there medications to prevent an allergic attack? Monoclonal anti-IgE antibodies have been used to reduce the occurrence of peanut allergy. Please consult your doctor about this. What are the other important things to be aware of? Be aware that many food items may contain peanut which is not stated in their labels. A nutritionist needs to be consulted if you are uncertain of the content of a specific food. When you exclude food items which contain peanut from your child’s diet you need to ensure that your child receives enough nutrients from other food sources.